SUMMARY: The patients with tongue base carcinoma are usually diagnosed in an advanced stage of the disease. The authors present a retrospective analysis of four patients treated in the period 2006-2008 using the method of upper lateral pharyngotomy in order to remove the tumor. On the basis of the preoperative evaluation two of the patients had ipsilateral neck dissection. 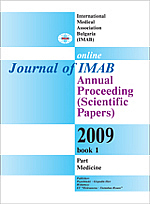 The authors report the survival rate giving the account of the combined treatment and the necessity of extra procedures. The article describes the operative techniques and the important moments of making a decision. A review of the literature concerning this matter has been mades. Key words:Tongue base carcinoma; Approach; Surgical treatment; Upper lateral pharyngotomy.